Home decor is one of the hottest trends in today’s lifestyle. Everyone wants his home to be decorated in a super stylish but in an efficient way, and according to his personal taste. Home decor is very time-consuming but quite interesting job to any house owner. Having a super decorated abode makes one feel pride about his lovely home. But, home decor can become a costly affair. If you are one of the creative-minded individuals who can use his free time to decorate his home aesthetically, then there are many ways you can do so. One such way is by using easily available wooden pallets. 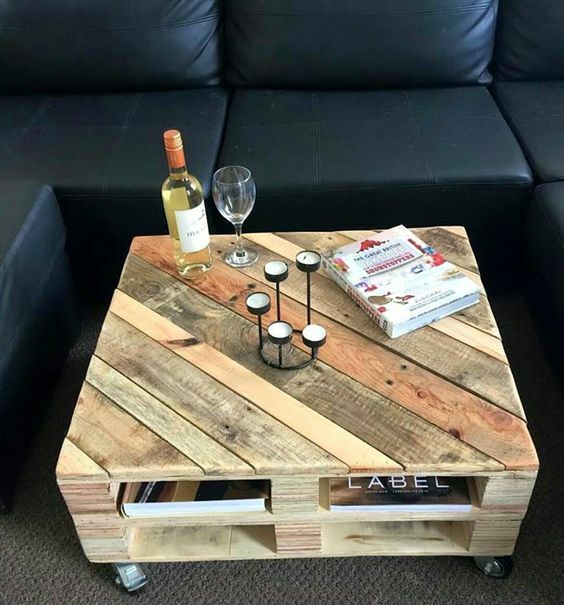 From beds to tea tables, and storage units to garden chairs, you can use wooden pallets according to your creativity but make sure a wooden pallet is not a waste. 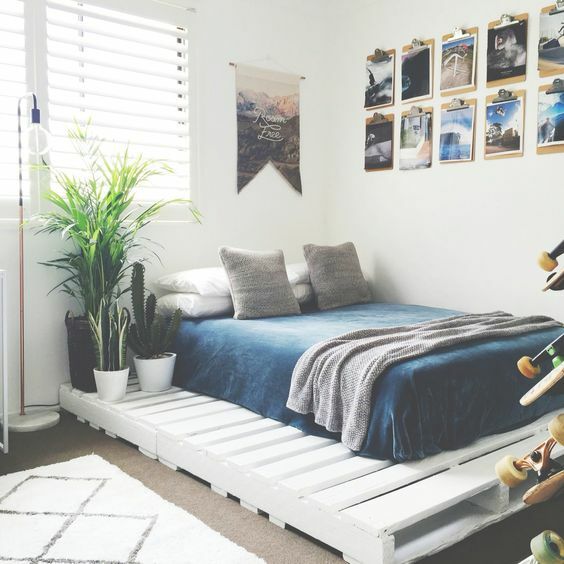 Nowadays, since many organizations are involved in fiber production by wood reusing, why not attempt to decor your home with those wooden pallets lying around? 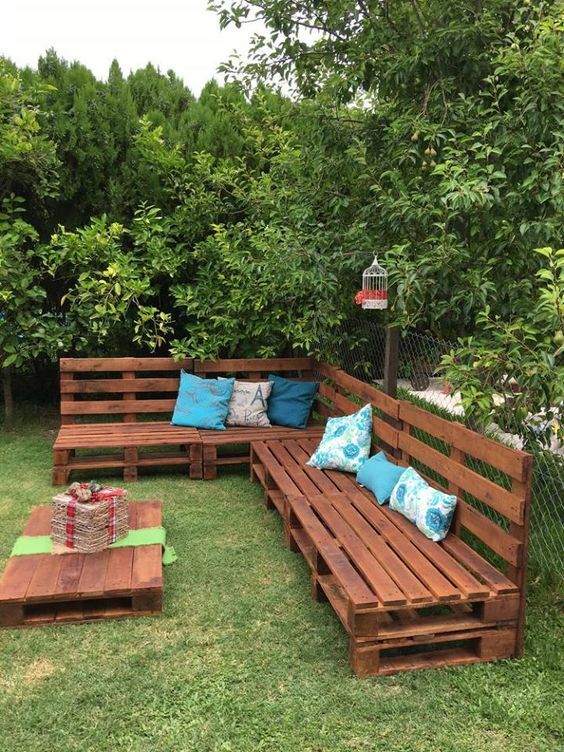 Wooden pallets are ideal for decorating homes and garden. 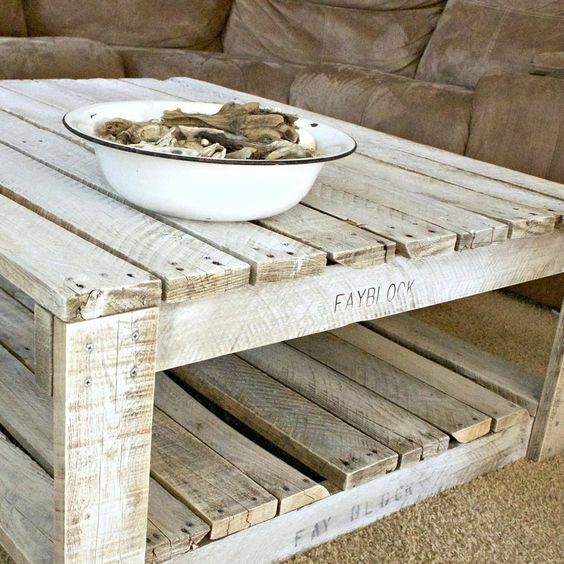 Wooden pallets can be blended with other crafty elements, redesigned and repaired in the easiest way you can imagine. 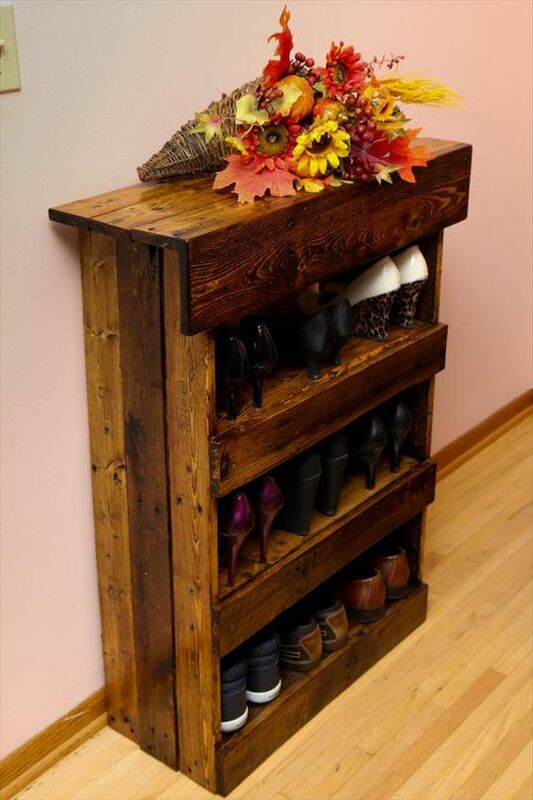 We here at “decorhomeideas” have come up with a great set of easy and very elegant “DIY” wooden pallet decor ideas for your lovely home. 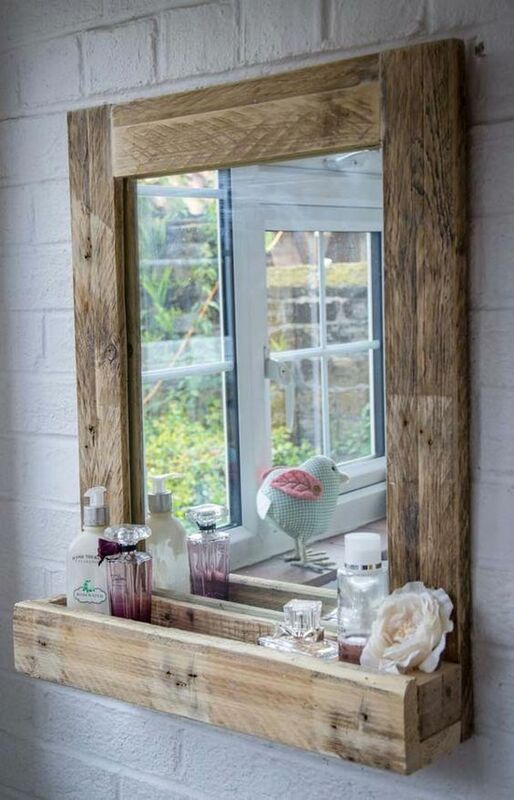 This mirror made up of wooden pallettes frame is a perfect fit for any rustic themed decorated home! The little space made for the storage in the mirror frame is an awesome way to store daily essentials in an easy way! 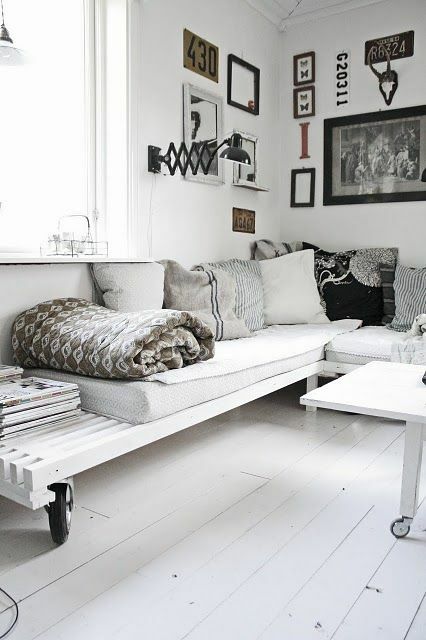 This is a perfect way to make your own daybed or a sofa for your living room. The best thing about this DIY design is to have the size and shape of sofa or seater according to your room’s dimensions. If you are bored with regular dining table centerpieces, then create your own personalized centerpiece. 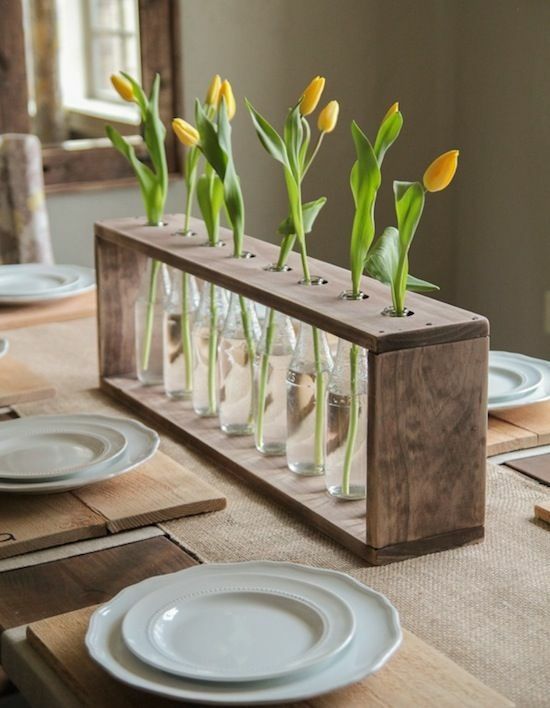 This stylish and chic looking centerpiece made of wooden palettes creates a stunning look when combined with perfect sized glass bottles and colorful flowers! 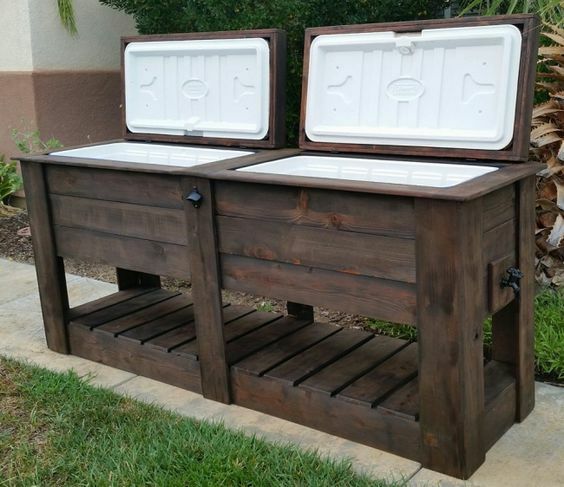 This is one super way to up cycle your garden coolers. Using easily available wooden palettes to create a holder for garden coolers is as simple as it looks. Also, the storage area is a perfect addition for these lovely holders. What else can blend so well with gardens than wood? Another super easy way to use those wooden palettes to accentuate your beautiful garden! 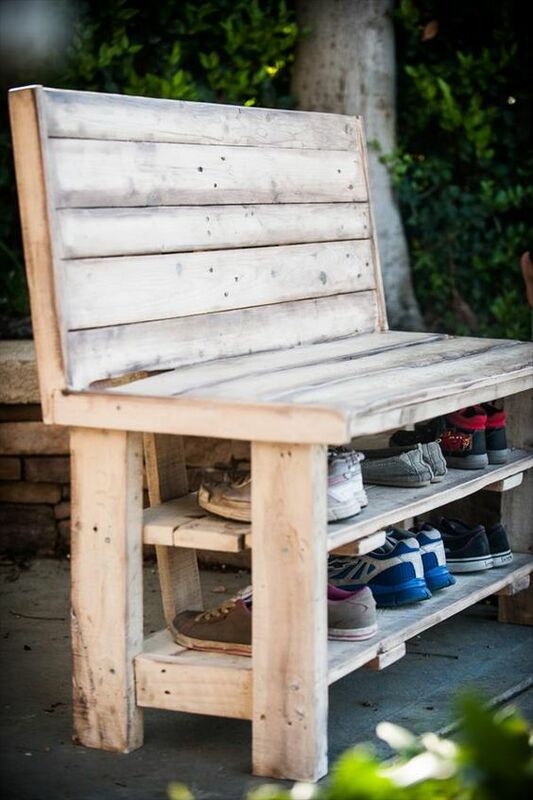 That little storage area at the backrest of the chair is perfect to store magazines and papers for your garden read! 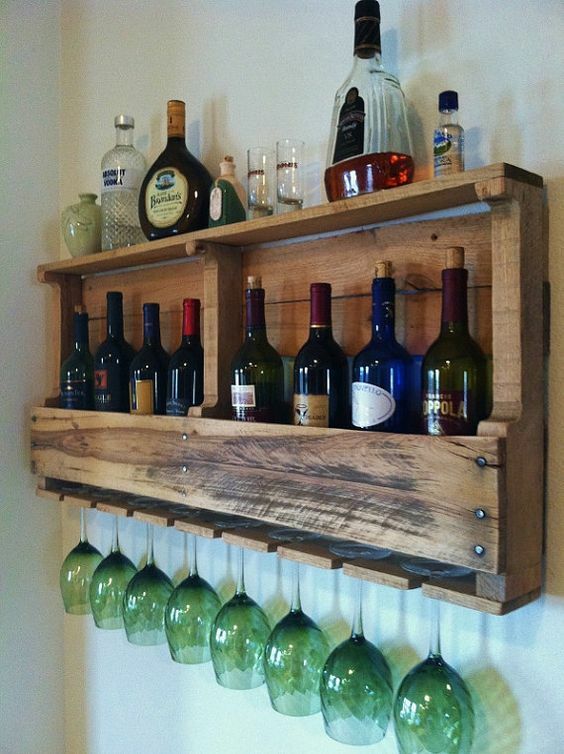 A beautiful and rustic way of holding your wine bottles. 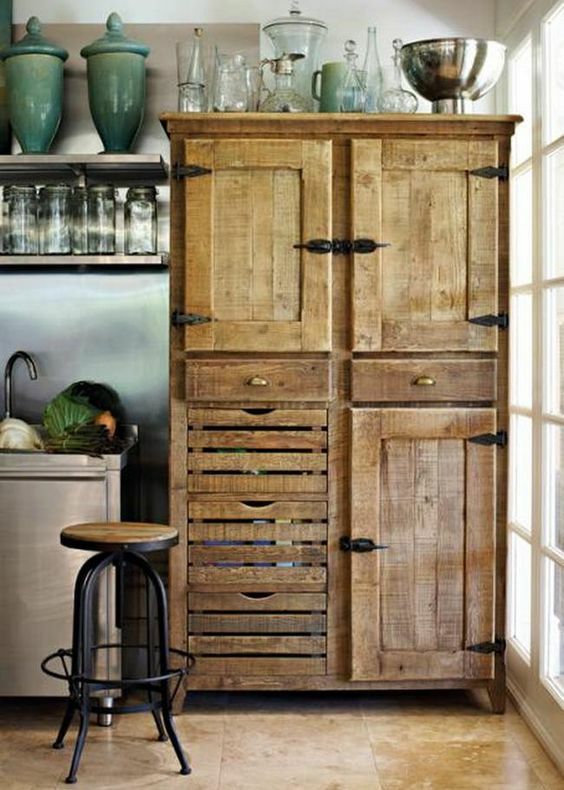 The storage area above and below the wine holder is just perfect. Best one here is the glass holder below! 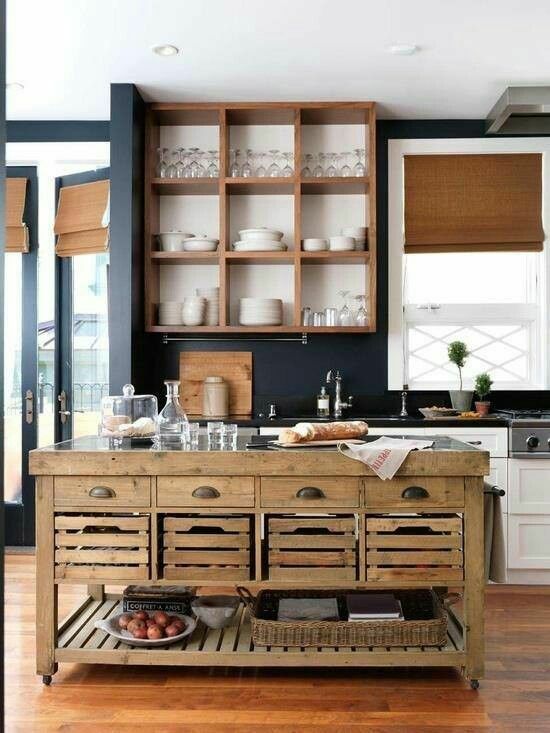 What an awesome way to utilize those wooden palettes. 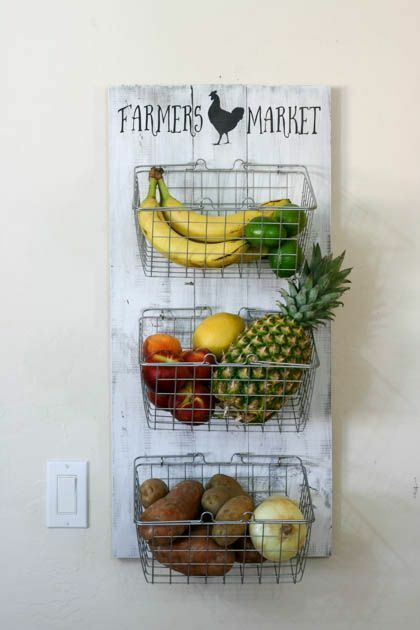 The baskets made of palettes give fresh air to fruits and vegetables you store in them and also provide a good view of what you have in each basket! Summer is the time to be outdoors! 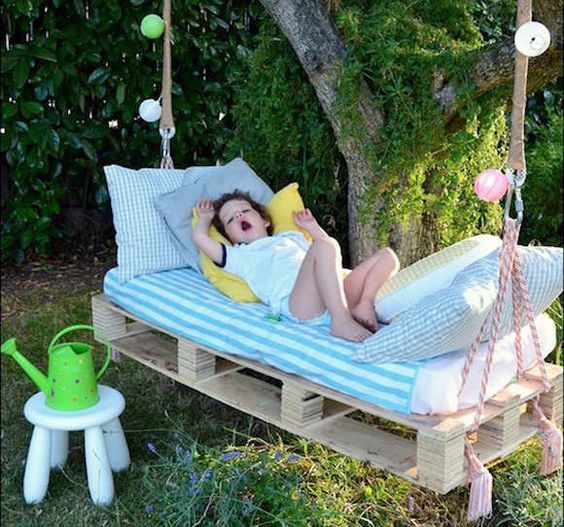 Uplift the experience by adding this beautiful swing made of a wooden palettes and enjoy your lovely garden! 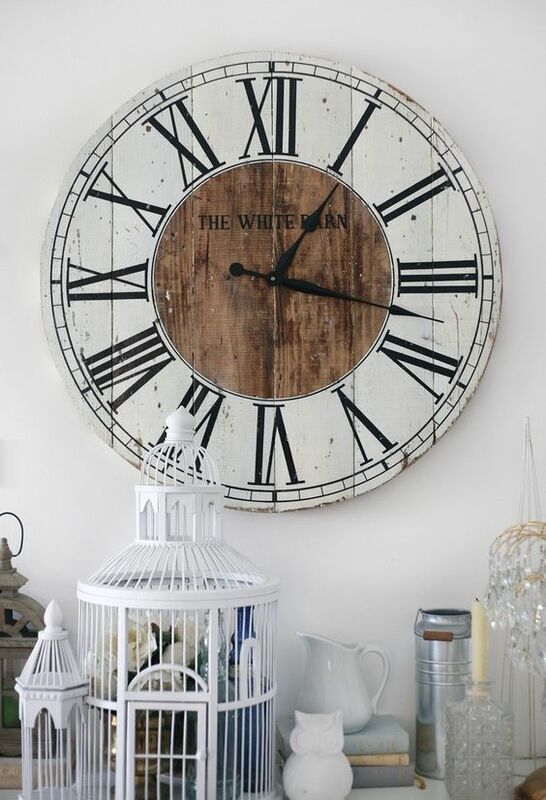 This vintage looking wall clock is an absolute stunner with its beautiful numerics and colors. This works perfectly with both vintage themes as well as contemporary decor. 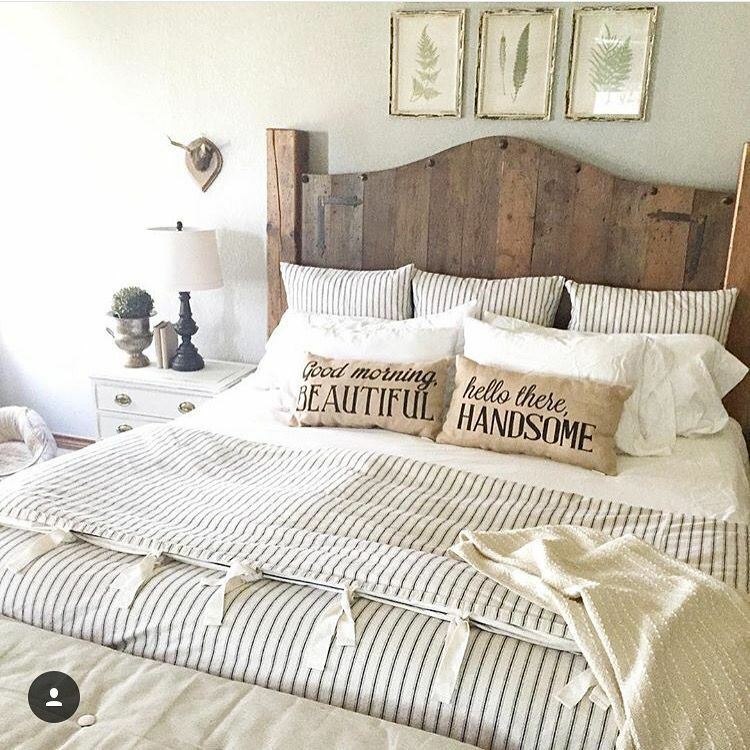 Another beautiful way to decorate your guest room is by making this wooden pallettes bed. With spacious side areas, this bed makes a perfect furnishing to any guest room. Stained white and topped with stone finish wood blocks, this wooden palettes table is a perfect solution for many places in your beautiful home. 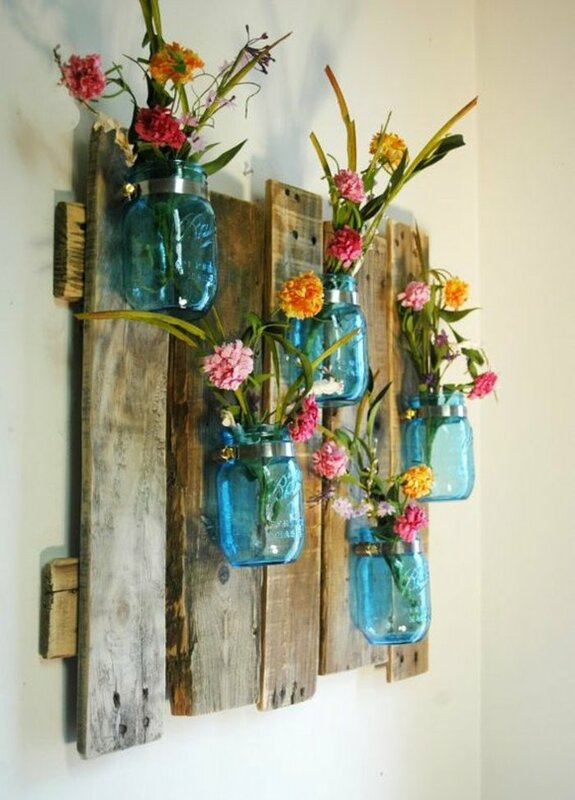 A beautiful way to keep your vases and flowers is by making a vertical vase holder from the wooden palettes. This not only adds color to your wall but creates a good focal point. A creative way to keep your shoes in place. This vertical shoe holder will make you utilize less space and encourage more storage. Having a vintage styled pantry makes your kitchen looks great and having it combined with wooden palettes – made drawers will enhance its looks as well as makes it easy to find things. This cozy coffee table is all you need for your home if you are going for an earthy feeling and rustic decor. Along with the table, the storage area under the top is an amazing storage area for books and papers. 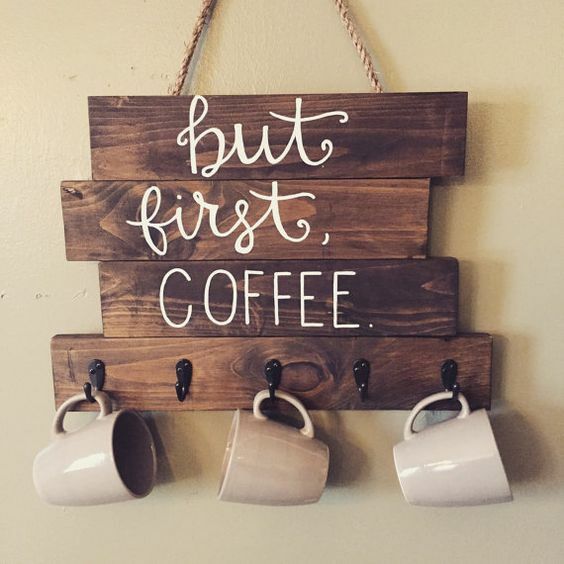 Another awesome way to decorate your kitchen is with this lovely wall hangers. The little holders used for hanging the cups are very cleverly designed! 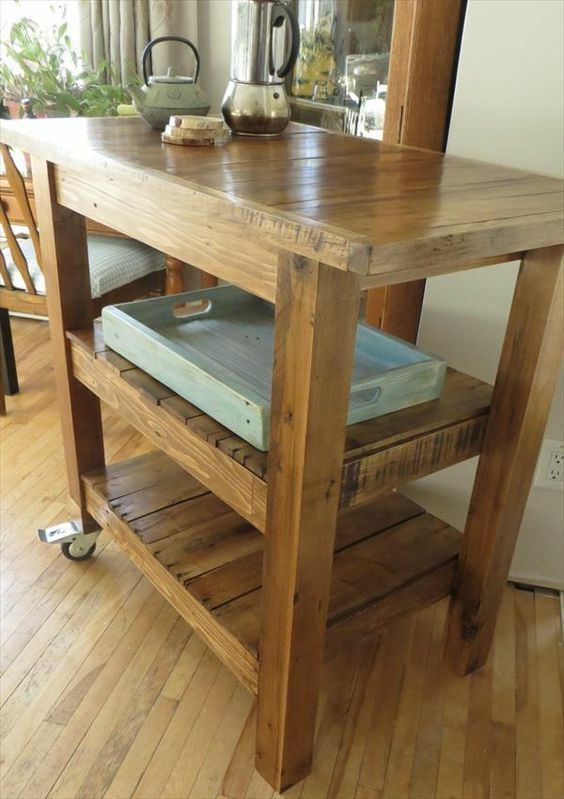 A beautiful way to create a tea cart is by using these awesome looking wooden palettes. Yet another way of making your home look good and functional. A stylish way to hold the vegetable fruit baskets is by making a wooden palettes basket holders. This will, for sure, be a topic of conversation! For those who love gardening, another project for you to spice it up! 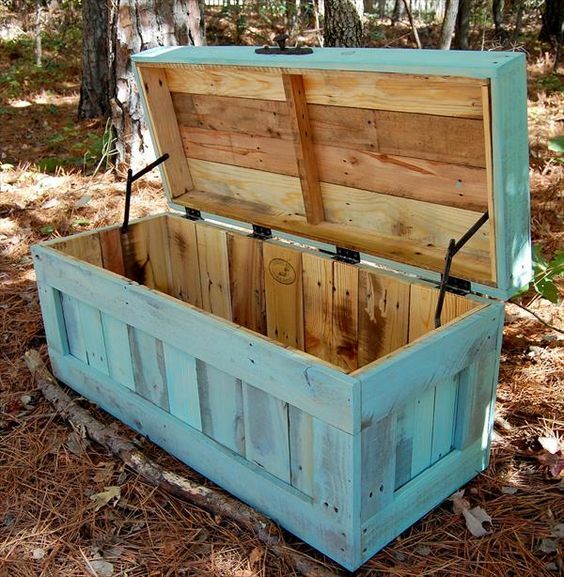 This tool box is a must for any garden DIY lover! The wooden palettes box colored in vibrant electric blue is an eye catcher for sure! An easy, simple yet chic styled shoe rack is all you need if you are looking for an ideal way to store your footwear . 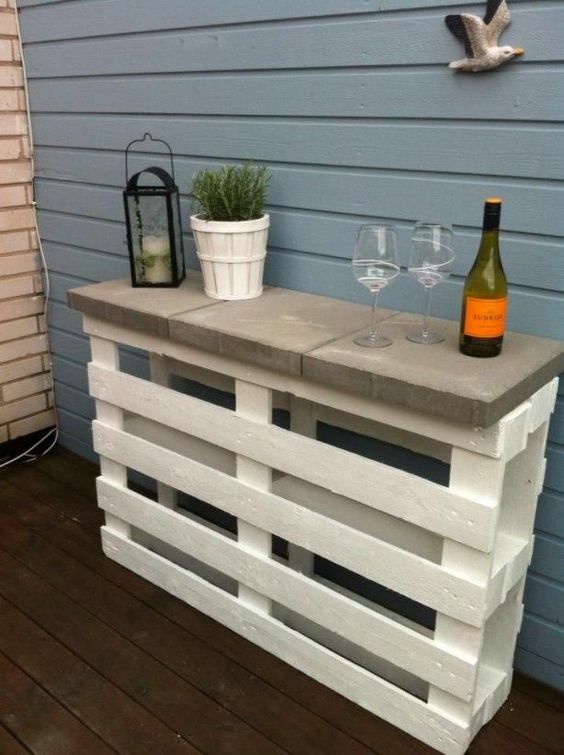 This is an easy wooden pallette DIY which will be practical and easy to use. This is a creation of genius home decorator! 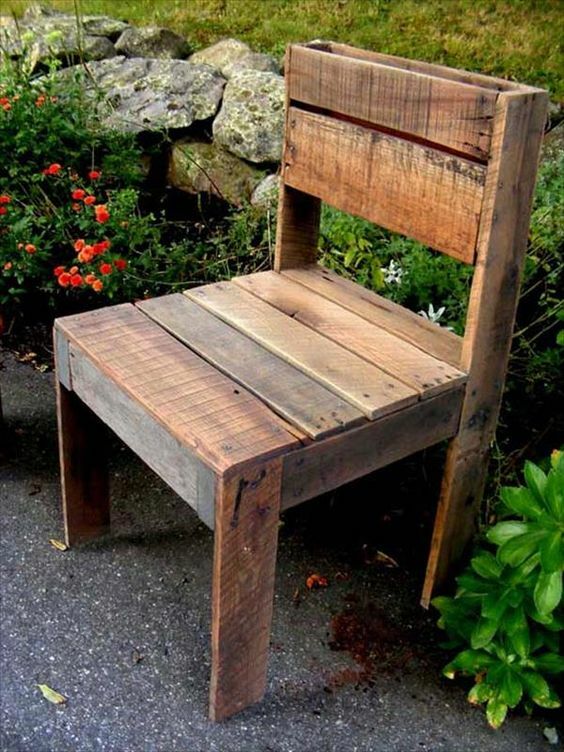 A garden chair with spacious storage space! All is done with easily available wooden palettes; a simple and gorgeous way to decorate your garden. 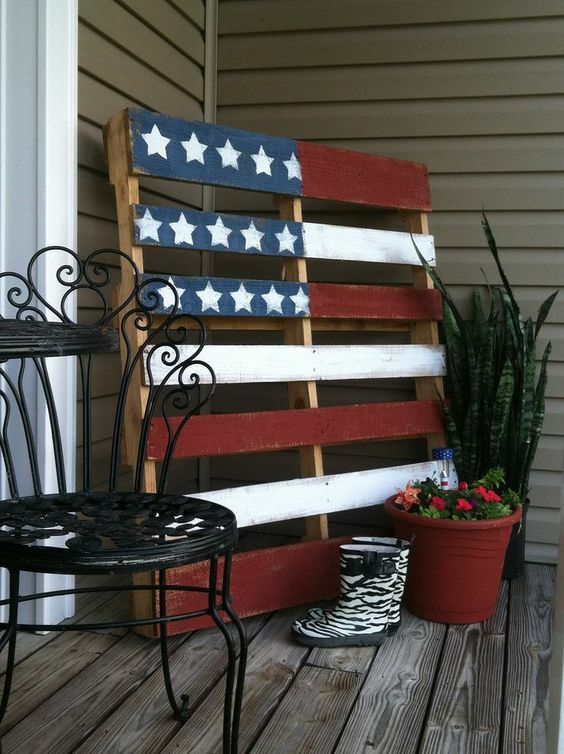 You can have another great way to use wooden pallettes is as above. 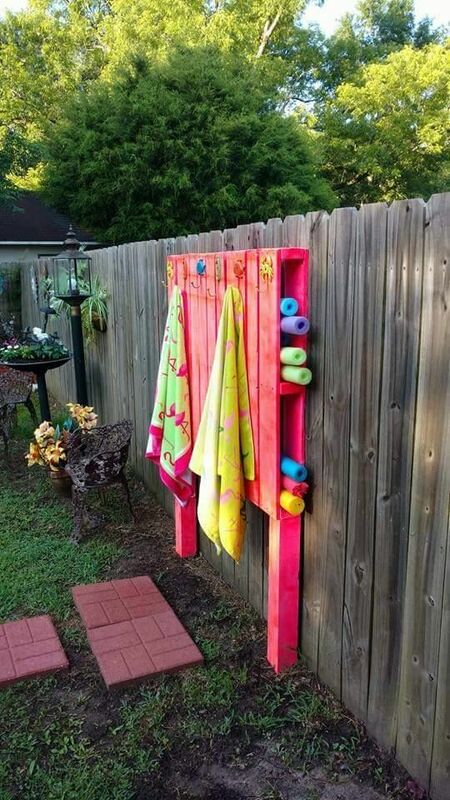 This clever idea here is provides towel hangers as well as a mini storage space for pool noodles . This is a practical and cheerful bright colored pool storage area that attracts everyone. Are you looking to build a patio furniture? Take this idea of using wooden palettes for making this elegant patio furniture which is big enough for all your friends on a midsummer’s evening. 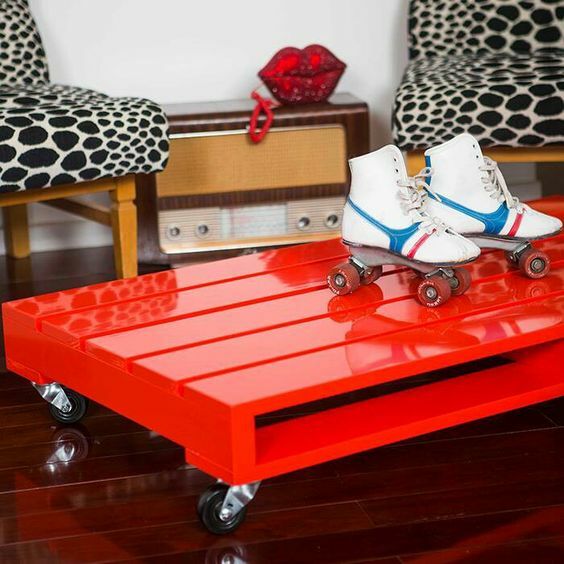 A simple wooden palettes coffee table took altogether to next level just by using bright glossy red paint. This is a great way to decor your home. This is another great way to decorate your home in a contemporary way. The white colored wooden palettes furniture doesn’t only give your home great looks, but also comfort when paired with nice cushions. 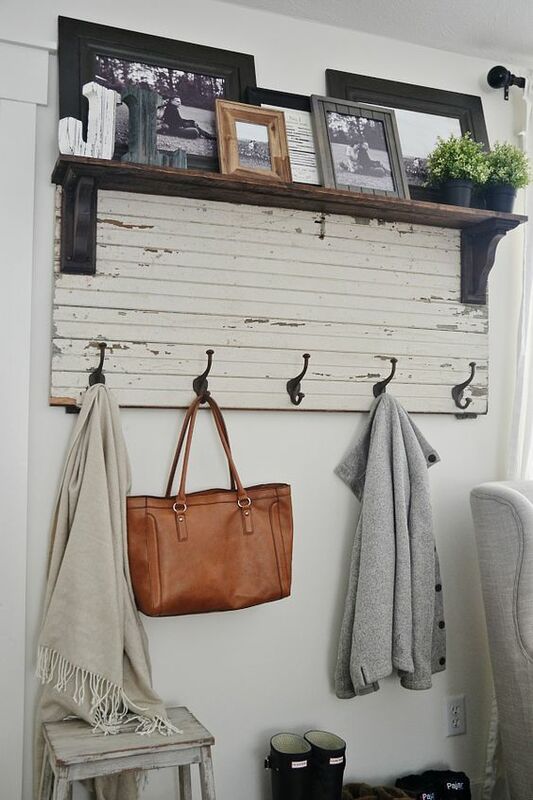 Want to re-decor your mudroom with style? Then this would be an ideal solution for you. The white painted wooden palettes attached with hooks to hold the coats and also a space display your photo frames. Need a vertical space to grow your herbs? 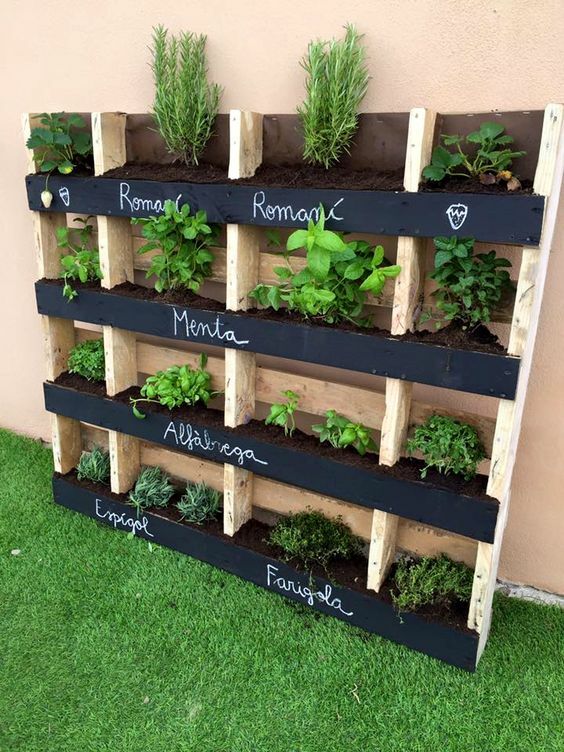 This wooden palettes vertical herb garden is a perfect solution for any kitchen garden taking up very little space. Want to go earthy and bring in a touch of natural elements in your home? All you need is one wooden palettes – made tea table that will bring all the natural feel to your beautiful home. 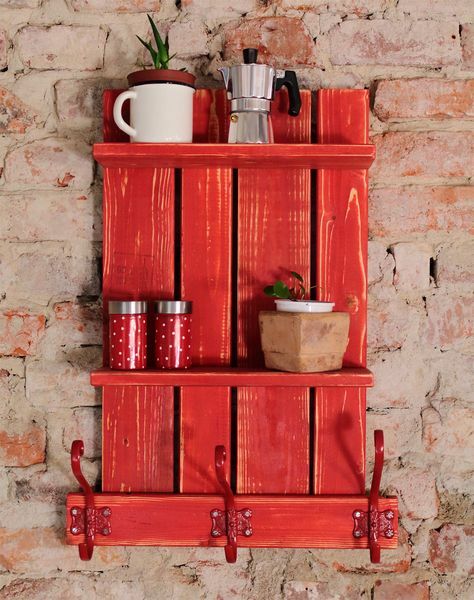 This red rustic looking stand with a good storage space is an ideal way to decorate your rustic themed kitchen. The bold color of the stand makes it a focal element where ever it is hanged. A gorgeous headboard is an important part of the bedroom decor, and one of the easiest ways to DIY by using the wooden palettes. This headboard would look artsy and elegant in any bedroom.